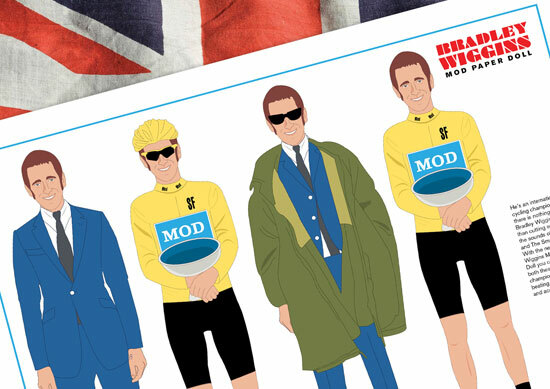 We haven’t gone down the Bradley Wiggins route for a couple of weeks (much), but when we saw these Bradley Wiggins Mod Paper Dolls by Piper Gates Design…well, we couldn’t resist. Having seen a Donovan Paper Doll from the 1966 issue of Hemmets Veckotidning magazine some years ago, Piper Gates has been been waiting for a subject worthy of similar treatment. 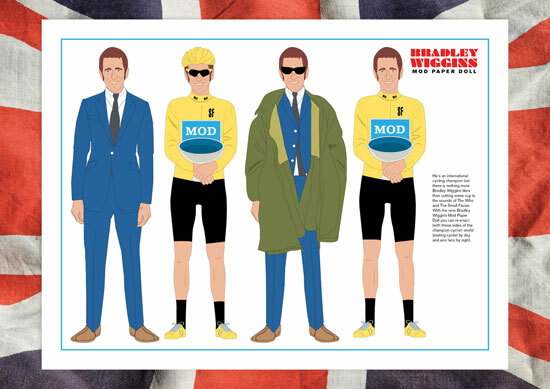 Cue cycling champion and self-confessed mod Bradley Wiggins. 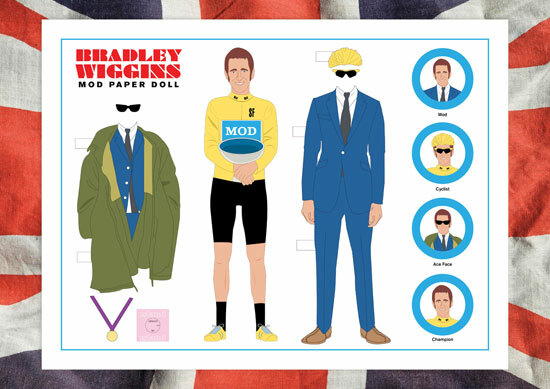 With his cycling by day and mod by night persona, Bradley made the ideal candidate for the paper doll treatment. This Paper Doll set contains two 400 mm x 300 mm prints. 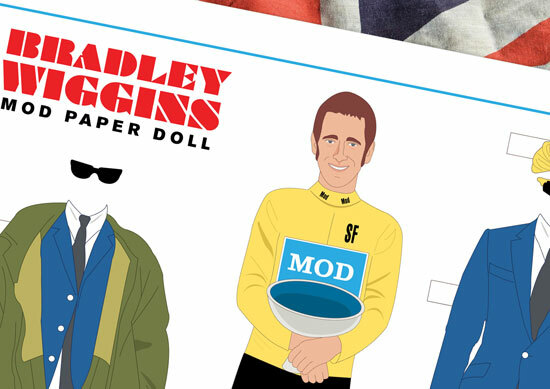 One contains the actual paper doll which can be cut up to make Bradley’s different personas. The second print contains the made up paper dolls for those who don’t want to go crazy with the scissors. Each print is signed by the artist and printed on high quality 250 gram silk paper. 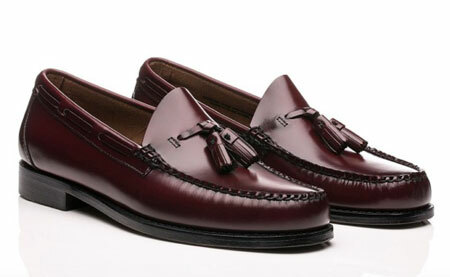 This set comes as a limited edition of 45 and is available while stocks last for £12.99. More images below.